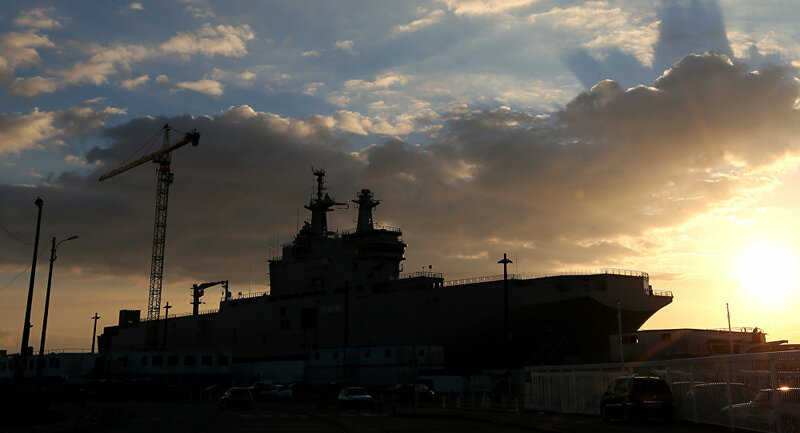 The first Mistral-class helicopter carrier out of two purchased by Egypt from France arrived on Thursday in the African country's seaport city of Alexandria after 14 days since leaving the French city of Saint-Nazaire. MOSCOW (Sputnik) — According to the CBC Extra broadcaster, the helicopter carrier named after former Egypt's leader Gamal Abdel Nasser is due to take part in coming days in the joint drills of the French and Egyptian Navy underway in the Mediterranean Sea. In August 2015, Paris and Moscow formally terminated the 1.2-billion-euro (some $1.3 billion at current exchange rates) deal on the construction and delivery of two Mistral-class helicopter carriers. Shortly after, French President Francois Hollande confirmed that a deal had been reached with Egypt on the delivery of the two Mistrals to the Arab country. France handed over to Egypt the first Mistral-class helicopter carrier on June 2. The second ship is set to be transferred in September this year.